We’re back again with our popular and regular round up of all the best new music from around the world. Tickling our aural delights and fancies this week, the latest re-release special from the legendary On-U Sound label, Singers & Players’ 1981 dub-generator War Of Words, the latest brooding electronic soundtrack from Evvol, and the Jesus and Mary Chain’s recent Psychocandy reenactment, Live At The Barrowlands. In shorts we have the brand new singles from Edinburgh 5-piece Delta Mainline, the Minneapolis collaboration of rapper Kristoff Krane and Camp Dark’s main man Graham O’Brien, and Idris Ackamoor & The Pyramids new 45 for Berlin label Philophon Records. We also have a cut from the upcoming Bixiga 70 album for Glitterbeat Records and the new EP from Glasgow’s polygenesis rave-ups, Golden Teacher. (On-U Sound) LP Released 21st August 2015. As part of an ongoing revitalisation process, the venerated label that perfectly managed to capture the burgeoning cultural exchanges in the post punk scene at the end of the late 70s and dawn of the 80s, On-U Sound is re-releasing some rare treasures, once again, on vinyl. The brainchild of the dub-generator supremo Adrian Sherwood, the On-U label reverberated to the sounds of London’s in-situ squat generation; moving from the spit and vigour of bastardised rock’n’roll, transmogrified into punk, towards subtler soulful rebel music. A comradeship already identified and linked with the dub sound systems and languid protestations of reggae, the post change-of-guard were now turned on to a less aggravated form of roots music. And were now just as ready to rescue Krautrock from the embers as they were to embrace hip hop, industrial and avant-garde music. Intrinsically linked to the London scene but reaching out internationally, Sherwood’s striking, sometimes over-egged, echoes, reverb and phaser dub techniques became a trademark and helped create some remarkable music. Bringing the sometimes-obscure Jamaican dub stars into contact with the post punk set, Sherwood produced a unique and highly influential back catalogue. Part of a recent restoration, the entire collection, including compilations and miscellaneous items, has been made available via an array of digital sites. This project is the most complete picture yet of the On-U Sound label. The latest album to be plucked from relative obscurity is Singers & Players’ 1981 debut War Of Words. Originally released by the New York no wave imprint 99 Records, the LP’s creative Kingston sound system force of iconic deejays Prince Far I and Jah Woosh, were joined by members of the Arabs and Roots Radics, and featured guest appearances from PiL’s Keith Levene on guitar and The Slits’ Ari Up on backing vocals – spiritual cousins across the Atlantic. Submerged in a liquid dub reservoir, the album’s sonorous depths are explored with a languorous gait; the songs or riffs often dilated until nothing remains but a warbled fleeting wave or shaky echo that continues into infinite. With a pendulous, sloping rhythm and laidback candour, the opener ‘Devious Women’ introduces us to the album’s cover star Bim Sherman, who’s softly administered vocals, drenched in multiple effects, are sweetly soothing in addressing the lamentable augur of a misjudged relationship. Taking the production to the dizzying heights of Lee ‘Scratch’ Perry escapism, ‘Quante Jubila’ references the good book whilst bounding across the east African holy land, and ‘Sit & Wonder’, with its reassuring and nurturing cooed Ari Up backing vocals, has Bim, the wanderer, in a somnolent state singing from all corners of the studio, and what sounds like the next room: the record button is left on as our protagonist waltzes out of reach of the mic, almost disappearing completely, just the barest remnants of his Babylon rhetoric audible in the soup. Almost amorphous in places, the production so relaxed and only constant a usually prowling palatial bassline leaving monumental spaces between notes, it sounds to all intents and purposes as though the group were making it up as they went along. Even with the “fight the powers” mantra protest of ‘Fit To Survive’, there is a bittersweet soulfulness and stoner jig sway to rebellion. ‘Reaching The Bad Man’ sounds like its been recorded on a convex lunar sound stage – the strange side of the moon – and ‘91 Vibration’ could be the degrees by which the reverb soaked track has been warped. All great of course, loose but highly atmospheric and plunging the depths of dub reggae to pull out something transient and hypnotic. In its wake, released a couple of months later in October, there will be the concatenate War Of Version EP. Featuring a quartet of previously unheard tracks from the album session, pressed on 10” vinyl, this companion piece – if it is conceivably possible – adds even more layers of cosmic, vaporous dub to the original’s ‘Devious Woman’ and ‘Reaching The Bad Man’; Sherwood ricocheting the pair off into deepest space. Part of the On-U disco plate archival series, and following on from the popular Record Store Day 10” An On-U Journey Through Time & Space, this studio set will pique many enthusiasts interest with the additional deejay cut by the group’s Jah Woosh, ‘Don’t Be Greedy’, and Prince Far I’s vocal cut ‘Calling Over The Distant Sea’. The first of these fusions features a peaceably sloping and low bassline from Jah Wobble, the other, preaches a carefree message of love from Far I, over rattling African tinged percussion and breezy chopped guitar licks. Both drift off almost aimlessly into the ether, yet have a lurking resonance and as befitting of the history and roots of the music, plot a wandering course towards revolution. Brooding souls of the night the Evvol duo of Julie Chance and Jon Dark find hidden sultry melodies and vapourous swooning pop in the dark recesses of a cold, steely, cityscape. 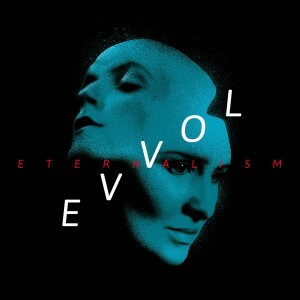 An Irish/Australian duo based in the cybernetic romance of Berlin, Evvol have built a name for themselves sharing stages with Grimes, Austra and Peaches. Using a subtler plotted form of synth blues and lamentable electronica their sound slickly shimmers like liquid between halcyon 80s dry-ice atmospherics and cyborg soul love. Scratch deeper beneath the gleaming, rasping and sizzling pulse and you’ll find a far darker subterranean of intrigue and complex emotions. ‘Starcrossed’ lovers orbiting ‘Sirius A’ all sounds cosmically dreamy but the duo’s lyrics betray an ominous sense of foreboding in a world of synthetic complications: reassuring words of comfort suddenly sound sinisterly like mind control, in the context of a Blade Runner imbued world of an alternative present. An introspective dark wave manifestation, moving forward and evolving from their previous excursions, Eternalism inhabits a whispery, almost haunting series of locations. Delivered with a diaphanous, often hushed and cooed, vocal the first half of the album takes its time to unravel. By the time we get to ‘Your Love’ the tempo is quickened and we’re into the realms of kinetic dance music; moving to an aloof and classy club electro beat. The flip side to that trans-Euro sheen number, ‘No Love’, loses itself in a 80s smoke machine of Nil Rodgers and Bowie-esque sophisticated dance pop – very sultry and introspective indeed. They even chug along the Thin White Duke’s Station-to-Station train tracks on the vapourous ‘Denoucement’. Changing the program, until recently touring and producing work under the Kool Thing moniker, Evvol’s gilded moods offer more than the usual from woe betide me synth pop. There is an intricate beauty at work, layered sublimely over minimal but powerful hazy synthesizer constructed melodies. And despite this being very much the vogue over the few years – though it comes in cycles – the nocturnal sirens offer something more unique. Forged in a miasma of drudgery in 80s East Kilbride, mainlining there bastardised Spector wall of sound candy girl group dramatics, seedy Stones and Boho Velvet Underground & Nico inspirations, The Jesus And Mary Chain’s reputation as a totem and beacon for those that followed in their wake has never diminished, or burnt out: if anything their acclaim has reached ever more dizzying heights of venerable adulation over the decades. Their maelstrom of unwieldy feedback, whining dirges and slowgaze hallucinogens made one of the most influentially felt impacts on everything from rock’n’roll to the obvious and logical development in alternative guitar music, shoegaze. The Reid brothers and their rotating line up of bass players and drummers – most notably a fresh-faced pre-Primal Bobby Gillespie cutting his teeth, stomping out a troglodyte beat and swinging the club Pausarius style – did all they could to alienate their audience. Leaving them wanting more, their initial shows lasted only ten to twenty-minutes before descending into chaos – in part down to an overcompensation of alcohol for their nerves and also as part of their self-appointed Svengali manager Alan McGee’s staged shenanigans -, but it would be their confrontational soundbites, sometimes arch bravado other times dryly provocative, combined with the sunglass hung-over look and abrasive music that would set them apart from their peers. Despite any of this, the band was able to resurrect a decent tune from the withering slurry and discordance. Essentially they channeled pop, they themselves and the media even abounding references to The Beach Boys. As dark and sometimes seedy as it sounded, the group had a great ear for melodies. And so in 1985, as much out of spite at an industry that was ready to write them off and crush them, the band released their debut statement of turbulent intent Psychocandy. With thirty years of progression under their belt and various break ups and reformations, the Mary Chain have been pro-active in reappraising their classic rites of passage with a series of live shows, playing the entire album in its original track listed form on a short tour of the UK last year in readiness for a thirtieth anniversary celebration in 2015. One of those returns to glory, a homecoming gig of a sort, was performed at the legendary and infamous Barrowlands, here in the Monolith Cocktail’s new home of Glasgow. Recorded for posterity, the congruous pairing of Edsel and Demon record labels has just released that concert as both a deluxe edition and a single CD. Featuring a 40-page hardback book with essays, previously unseen photographs and interviews with the Mary Chain’s band members and of course with Alan McGee – who the band resigned with in recent years -, this tantalizing artifact houses a 180g vinyl version of the performance and an exclusive 10” of the seven-track prequel set of fan favorites and singles that was played before the band launched into Psychocandy. For those with more shallow pockets there is the pared-down singular CD version. 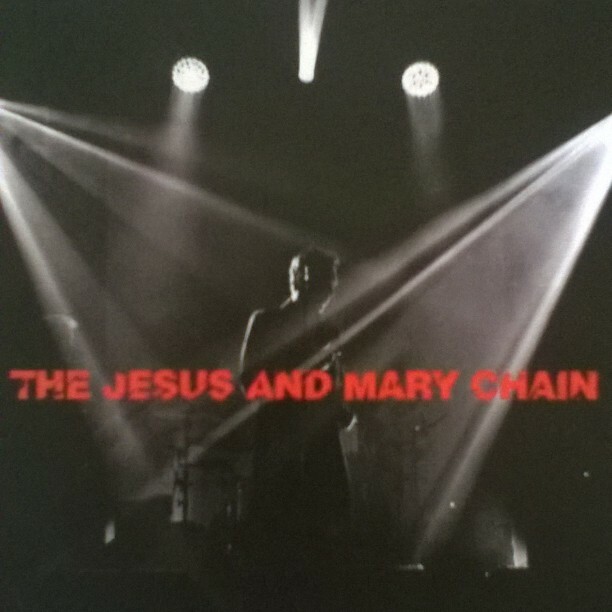 The prospect of the Mary Chain recreating their fateful archetypal opus all these years later is an interesting one. Full of vigor, spit and sneering indignation could that spirit of raw and powerful youth now be meaningfully reproduced in the modern age, with the original band members now into their fifties. Slightly softened, and obviously with the bonus of hindsight and maturity, they’ve rounded the edges and added layers of sophistication to their rebel pop blueprint, yet it sounds just as relevant and energetic as it ever did. Starting with an assortment of choice singles and tracks from their oeuvre, the band take to the stage with a low suffused horn and reverb soaked accompaniment before rattling off a sequence of proto-shoegaze classics, including ‘April Skies’, ‘Head On’ and ‘Some Candy Talking’ (misconceived by certain DJ dotes on its release as a paean to heroin; the Reid brothers would of course deny it had anything to do with drugs). Congruously sliding out west to the halcyon out lands of psychedelia, they do a sweet melodic version of the track ‘Psychocandy’ (which strangely enough never appeared on the actual album of the same name), and then enter the realms of Gothic rock’n’roll with ‘Up Too High’, and rev up for a Stooges imbued act of sneering martyrdom on ‘Reverence’. No less finely tuned and sounding just as good, the Psychocandy album suite begins with The Ronettes pounded transmogrified ‘Just Like Honey’ and powers through a caustic and heavy bedraggled bank of cleverly administered feedback on ‘The Living End’ (a fucked-up, strung-out 60s beat group covering ‘Fortune Teller’) and ‘Taste The Floor’. Faithfully recreating the heart’n’soul morose of ‘The Hardest Walk’, squealing and taking off on a Boing jet for the surf pop garage rock of ‘My Little Underground’ and lumbering to the candy slop of ‘In A Hole’, the band aren’t precise or even precious with their old material, rather they embellish it with age and are, I dare say, having fun with it. With the songs messages now sounding like affirmations and even more spiritual. And as it turns out, the audience (their presence made aware of throughout), now swelled with at least a generation if not two of new fans that weren’t even born when the album came out, loved it. And now lavishly presented with the usual reappraised adulation and contemporary marketing that now elevates every record ever made from the past to staggering levels of faux-importance. The Barrowlands is thankfully not one of these; it’s importance in no denial. As for the ins and outs of bands paying tribute to their own legacy with the ever more popular ‘classic album’ performance, we could take a cursory swipe at the Mary Chain for falling into this, it seems, inevitable spiral of self-reverence, but then we’d miss a great live performance, which seems to have been a worthwhile treat and timely reminder of a great talent. Sneak into your crypt, turn the lamps down low, draw the curtains and immerse yourself. It has been a while since the hallucinogenic mushroom disciples of the occult rave scene, Golden Teacher, released any recordings; the extemporised dance music with psychedelic overtones collective, sporadically dropping tracks on various compilations and taking part in the video artist Phil Collins love letter to the groups hometown of Glasgow (Golden Teacher performed a prequel to the works main feature), Tomorrow Is Always Too Long, are hard to pin down on wax. Named after Glasgow’s main drag – the thoroughfare for the city’s thriving nightlife; with the Glasgow School of Art and the Mackintosh building branching off – Sauchiehall Enthrall burbles, buzzes, zaps and saunters to an amorphous groove and mix of Brazilian, African, American house music and no wave funk. The collective are a wonderful polygenesis explosion of amorous and exotic mystery; one that recalls the street sounds explosion of 1980s New York: the crossroads when Hip Hop, Latin, new wave, soundclash, reggae and post disco all came together. Rising steadily from a mix of OMD dreamy romantic atmospherics and Spiritualized’s hymn like worshipping strings, Edinburgh’s Delta Mainline soar towards an awakened crescendo on their recently unveiled debut single ‘Vultures’. A swooning belter of a tune in two halves, the bombastic recalling a myriad of Britpop darlings, including Rialto, the lavish but humble production sounds likes an angelic Jesus And Mary Chain. Already muted as an alternative guitar band of sensitive souls to watch out for, backed-up by a well-received LP in 2013, Oh! Enlightened, the Delta Mainline cut this latest sweet anthem at both the Chem 19 and the legendary Abbey Road Studios, where they imbued their sacrosanct sound with the Cairn String Quartet (who have also worked with both the iconic and contagious Echo And The Bunnyman – certain tones can be heard on this record- and fellow Edinburgh group, Young Fathers). Keeping a Scottish theme, both fellow compatriots Miaoux Miaoux and Remember Remember wistfully add electronic beats and reverbed effects to the original. The first of these applying radiant waves and rasping tropical beats, the second drifting off into the ether, with echoed vocals harmonies and woozy droplet drum beats. 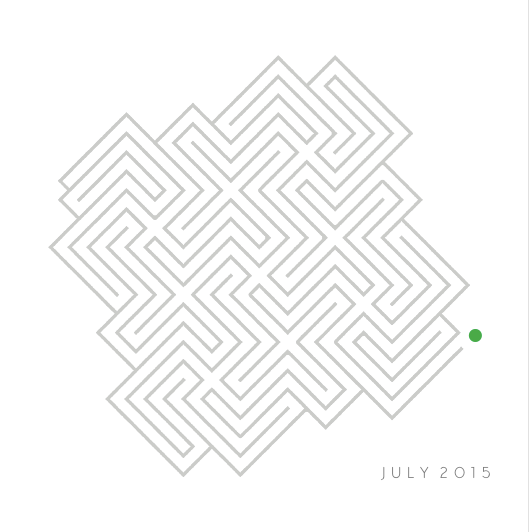 Taster from the upcoming LP III, released 11th September 2015. 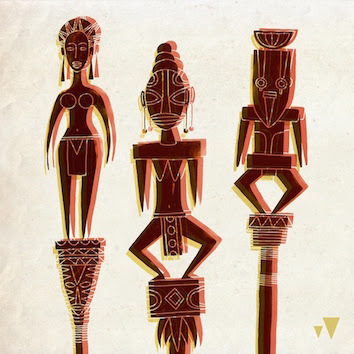 Sao Paulo’s exotic musical collective Bixigia 70 are back and once again reaching out from their Brazilian base camp to absorb sounds from not only Fela Kuti’s Africa 70 halcyon hey days in Nigeria, but also from the Caribbean. Sauntering to an inspired dose of cumbia, dub and Afro-funk with their latest temptress teaser sountrack ‘100% 13’, the group of maestro performers mark the upcoming release of their third LP III, and recent move to one of our favorite labels of the last two years, Glitterbeat Records. The album itself promises a dazzling, heated and exuberant mix of every style imaginable, though this tantalizing marker is a composed and sophisticated horn-blowing journey down the back streets. Expect to see a fill review on the Monolith Cocktail in the coming months. Lush Pygmy flute and exotic peregrination horns work their magic on the latest 45 from the Berlin label Philophon Records; Max Weissenfeldt’s Afro-funk and rare jazz grooves label, currently releasing a host of treasures from some of the most famous cats of the Ethiopian jazz and funk scenes. Idris Ackamoor and The Pyramids returns with another scintillating rhapsody, grooving languidly through a Rousseau painted jungle, on his ode to the German capital. Reviewed a while back by Ayfer Simms, the ‘Artemisia absinthian-like world’ of Camp Dark’s ‘Are You Hiding’ track was a remarkable haunted protestation, echoing from across the ages. The alter ego of Graham O’Brien, Camp Dark created an extraordinary, almost peaceable but effective sound production on that record. 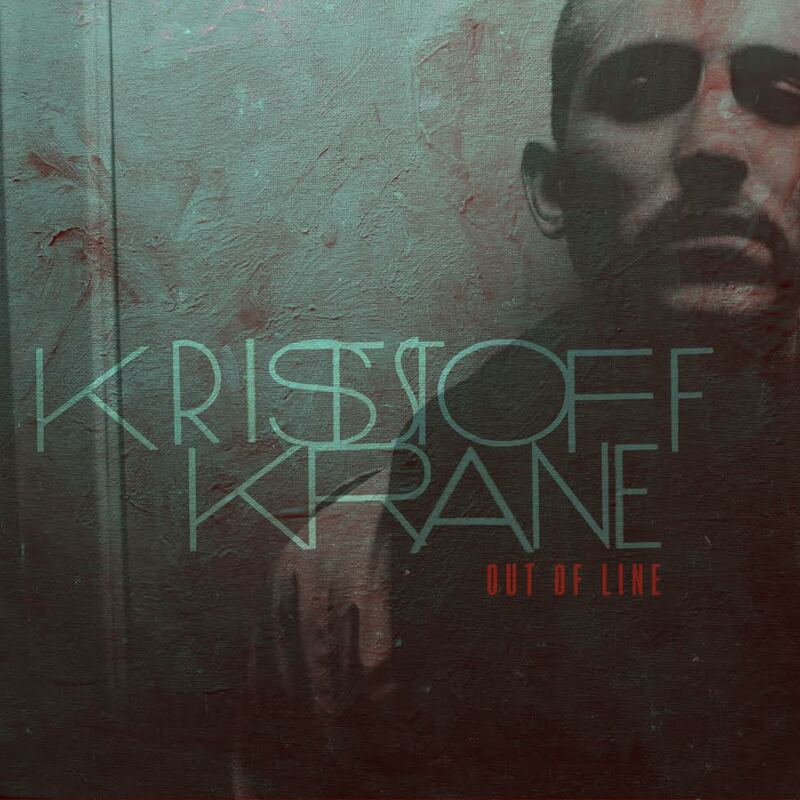 Channeling that wafting, magical energy into a new enterprise, O’Brien has added his vapour trails and echoes to the new Kristoff Krane record, ‘Out Of Line’. Taking Hip Hop in a fresh direction with the adroit Krane, he teams up with the Minneapolis rapper on both this and his upcoming album.